Artificial intelligence is so hyped that it might be tempting for top health executives to presume it’s just the domain of technologists, or so far off that they might be wiser waiting for others to move first. Instead, it’s smart to consider where rival healthcare organizations are investing today. We surveyed 142 qualified professionals working in IT, business, informatics and clinical roles within hospitals, health insurers and pharmaceutical companies. The findings show that artificial intelligence and machine learning are already delivering value in specific areas. Respondents have big hopes for AI and ML in clinical settings for chronic conditions in particular. 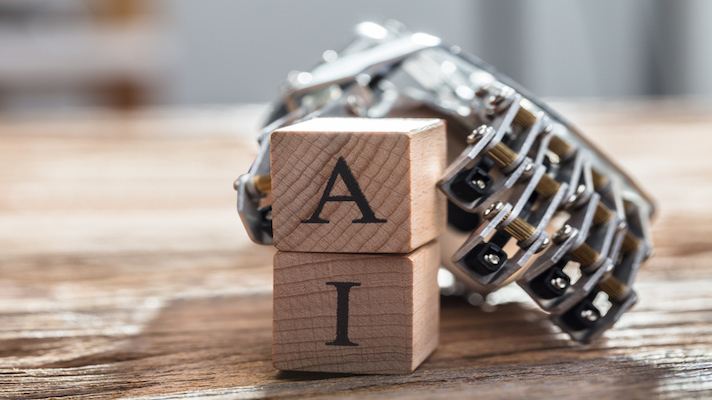 The 77 percent of survey-takers who say they’re using AI to support clinical decisions represent the most common use case being tested – but not the only one by far. Let’s dig into some of our findings in the following charts. AI and machine learning are already delivering value in specialty care including radiology, pathology and pharma, according to 63 percent of the research participants. When it comes to patients, the technlogies are also delivering value, 61 percent of respondents indicated, with telehealth and remote patient monitoring cited as two specific examples. So it follows that nearly half of survey participants indicated that AI and ML are making an impact at the point of care. Given the relatively high percentage of survey takers saying artificial intelligence is already being put to use in those areas, it’s no surprise that they said chronic conditions are emerging as big opportunities for the technology, too. Cancer, heart disease and diabetes are also commonly seen as big opportunities for overarching healthcare trends such as pop health and precision medicine, so it makes sense that amid the promise of AI and ML is hope the tools can help with those as well. Personalized medicine and population health, in fact, are among the most common use cases our survey participants are already undertaking, either by running a proof-of-concept, pilot test or having AI and ML tools implemented in production environments. More than half indicated they are using the technologies in population health programs, while just over 40 percent are doing so to advance precision medicine. In addition to the 77 percent using AI and ML to support clinical decision making, 66 percent said they use it to glean insights from big data sets. Then there are the business-side uses such as resolving operational inefficiencies and optimizing administrative workflows — which are becoming more and more important to top executives even if they are perhaps less glamorous than patient-facing applications. As we found during our Focus on Artificial Intelligence last month, 66 percent of respondents to a different piece of HIMSS Media research expect AI and ML to drive innovation in healthcare while one-third are currently crafting strategies for emerging technologies, including artificial intelligence, and another 40 percent are planning to create one soon. In December, we take a deep dive into what top business decision makers need to know about digital transformation.